A very unique small double edge razor. Designed to fit into small places when shaping a beard, a moustache, and/or trimming eyebrows. 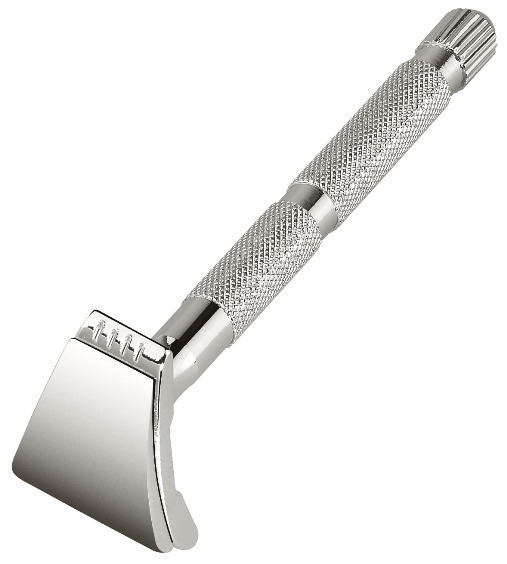 Polished chrome finish with a non-slip handle. Head width; large side: 3/4", small side: 3/8"